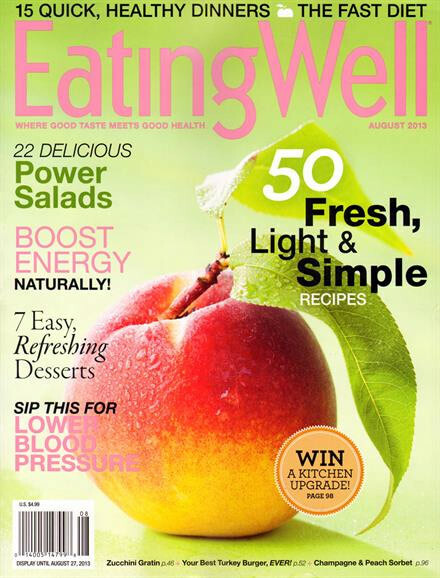 EatingWell, an award-winning magazine, is a one stop shop for flavorful yet healthy recipes, information on nutrition, and the latest trends in the food industry. Published bi-monthly, this leading food and cooking publication packs in a ton of useful information into each of its six yearly issues – features, tips and advice all centering on food and health. If you’re interested in learning about where our food comes from, sustainabilty, conscientious diet choices, eating in season, as well as just preparing and eating delicious food, then you will find all that in EatingWell. Eating Well is the THE best food magazine right now. If you ask me, this is the one to get if you are reading only one. If only they published Eating Well every month, then I would give it 4 stars. I’m right with you there Gina, Weeknights is great. I feel so much healthier since I have taken on board the tips from EatingWell. This is one of my favorite food magazines. I always get a copy of their issues. I also wish they would think of publishing monthly. Their articles are always nice and full of information and I just love reading them. 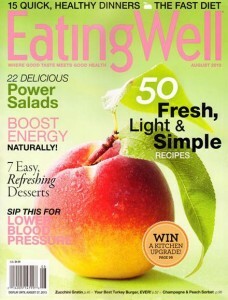 I`m a new subscriber of EatingWell. I like their features and recipes so far. I think it`s very unique then other magazines. Thanks!